Redline Racing narrowly missed out on championship glory during the 2018 Porsche Carrera Cup GB season finale at Brands Hatch this past weekend (29/30 September), however they did end their year on the top step of the podium with two class wins for newcomer Rory Collingbourne. The Teeside team headed into the final two rounds of the season with an eight point championship lead with Dino Zamparelli, who was joined in the awning for the weekend by two new drivers to the team, Pro-AM front-runner Collingbourne and series debutant Mike Wilds. Returning to the Brands Hatch Grand Prix circuit having finished on the podium in five of the last six Carrera Cup GB races there, Zamparelli headed into the meeting in confident mood and it showed in Saturday’s qualifying session as he immediately showed front-running pace. The Bristol-based racer was right in the battle for pole position throughout, eventually missing out by just 0.017s as he secured a front row start for Sunday’s opening race, a result that means he ends the year having qualified in the top three in all eight meetings. Zamparelli kicked off race one in sensational style as he launched his Porsche 911 GT3 Cup car into an immediate race lead off the line, before getting his head down and maintaining the advantage over the opening few laps. Unfortunately his race would unravel on lap four as an incident at the rear of the field a lap prior had left radiator coolant all over the track. Unaware of this as the first person to meet the slippery track surface, Zamparelli caught the treacherous surface and spun. Recovering to the tarmac, the Anglo-Italian racer was able to get the car restarted and fortunately a safety car period soon after allowed him to close onto the rear of the field, however with just a few racing laps left he could only progress to thirteenth at the finish. That result meant that Zamparelli and his chief title rival Tio Ellinas would head into a winner takes all, live televised final race of the season tied on points, however with Ellinas starting eight places higher on the grid it was a tall order for Zamparelli. He certainly didn’t give up though and a spirited drive saw him keep pushing until the very last lap of the season, however a great performance to climb to fifth position was sadly not enough to overhaul Ellinas and secure championship glory. It was still a fantastic campaign for Zamparelli who took four race victories, a tally not beaten by anyone else, ten podium finishes and a pair of pole positions, and he’s written his name in the record books as a three-time Carrera Cup GB vice-champion. Simon Leonard – Redline Racing Team Boss: “We’re devastated for Dino. He has been the fastest driver all season, with the best qualifying record on the grid and a win tally beaten by nobody else, and it’s just sheer bad luck in the races that has cost him the title he deserved. Across the awning, there was delight for Collingbourne as he enjoyed a brilliant first race meeting with the Stockton-On-Tees squad, with his return to the championship after contesting three of the opening four rounds ending with a much desired pair of Pro-AM class victories. 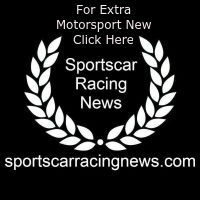 Collingbourne, who is an ambassador for children’s charity Dreams and Wishes, utilised Friday’s two free practice sessions to get back up to speed with his 485hp Porsche, which was borrowed for the meeting from the team’s regular driver Fraser Robertson who was attending a family wedding. The Welshman’s efforts were rewarded with a strong fourth in class in qualifying, a starting position he capitalised on during a sensational first lap in the opening race as he stormed through to the class lead in his Whitson Prestige backed Porsche. 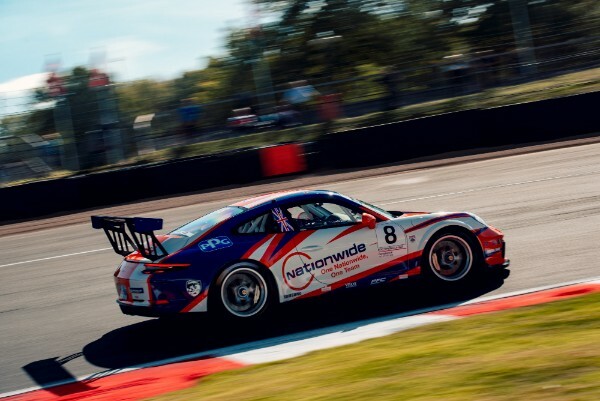 From there, a masterful drive saw Collingbourne negotiate a mid-race safety car restart and fend off late pressure from multiple class race-winner Jamie Orton to secure an emotional first win in his maiden Carrera Cup GB campaign, which also gave him the class pole for race two. From seventh overall on the grid the 21 year old climbed to an excellent fifth place early on, and while he eventually slipped back behind some Pro drivers, he would take the chequered flag for a superb lights-to-flag win, making it six class podiums for the season. Fellow Redline newcomer Mike Wilds also produced an impressive weekend in Kent, with the former F1 and Le Mans racer’s first opportunity to get behind the wheel of the current second-generation Cup car coming in free practice on Friday. Improving his pace throughout the meeting as his confidence and knowledge with the car grew, Wilds qualified a strong sixth in Pro-AM on Saturday in his Amigos Tequila Beer and DMS Vinyls machine, before enjoying some great racing on track on his way to sixth and fifth place race finishes. Simon Leonard: “Rory [Collingbourne] was truly the star of the weekend. Having not been in the car for nearly four months and not worked with us before, to come in and be bang on the pace from the off, and then pick up a pair of class victories is mightily impressive. “Running up in fifth overall at one stage in race two was superb and he didn’t look out of place battling wheel-to-wheel with the Pro drivers. He should be delighted with his performance this weekend and we hope that we can work together in the future. “It was an absolute joy to run Mike [Wilds] this weekend. He is a fantastic man with so many wonderful racing stories. On track, he showed really good progression through the meeting and really got into the thick of the action during the races. A great debut.